Stress follows a peculiar principle: when life hits us with big crises—the death of a loved one or a job loss—we somehow find the inner strength to endure these upheavals in due course. It’s the little things that drive us insane day after day—traffic congestion, awful service at a restaurant, an overbearing coworker taking credit for your work, meddling in-laws, for example. It’s all too easy to get caught up in the many irritations of life. We overdramatize and overreact to life’s myriad tribulations. Under the direct influence of anguish, our minds are bewildered and we feel disoriented. This creates stress, which makes the problems more difficult to deal with. 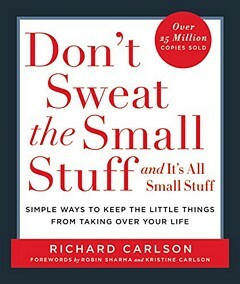 The central thesis of psychotherapist Richard Carlson’s bestselling Don’t Sweat The Small Stuff… And It’s All Small Stuff (1997) is this: to deal with angst or anger, what we need is not some upbeat self-help prescriptions for changing ourselves, but simply a measure of perspective. Perspective helps us understand that there’s an art to understand what we should let go and what we should concern ourselves with. As I mentioned in my article on the concept of opportunity cost, it is important to focus our efforts on the important stuff, and not waste time on the insignificant and incidental things. Carlson stresses that there’s always a vantage point from which even the biggest stressor can be effectively dealt with. The challenge is to keep making that shift in perspective. When we achieve that “wise-person-in-me” perspective, our problems seem more controllable and our lives more peaceful. Carlson’s prescriptions aren’t uncommon—we can learn to be more patient, compassionate, generous, grateful, and kind, all of which will improve the way we feel about ourselves and the way that other people feel when they are around us. Carlson’s succinct insights have hit home with legions of the hurried and the harried. He became a bestselling author and a sought-after motivational speaker. Before his tragic death in 2006 at age 45, Carson followed up “Don’t Sweat The Small Stuff…” with some 20 tacky spinoffs intended particularly for spouses, parents, teenagers, new-weds, employees, and lovers. 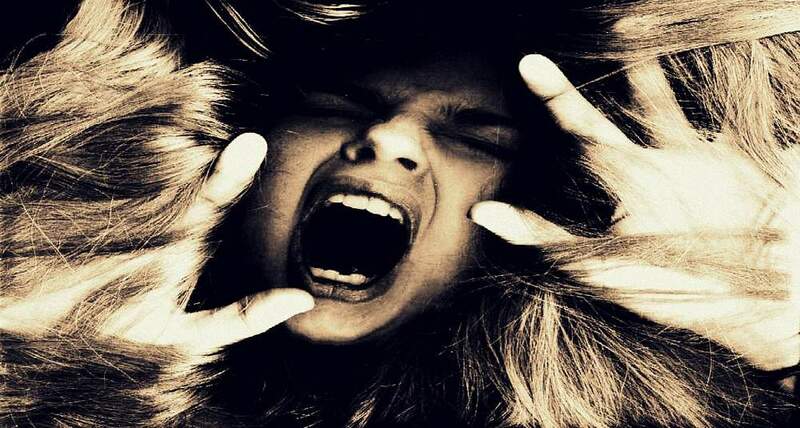 Buddhist psychology identifies anger as one of the six root kleshas, detrimental emotional states that can cloud the mind, lead us to “unwholesome” actions, and cause our suffering. As I’ve mentioned before, you will be at a marked disadvantage in life if you’re unable to perceive, endure, and manage negative emotions. 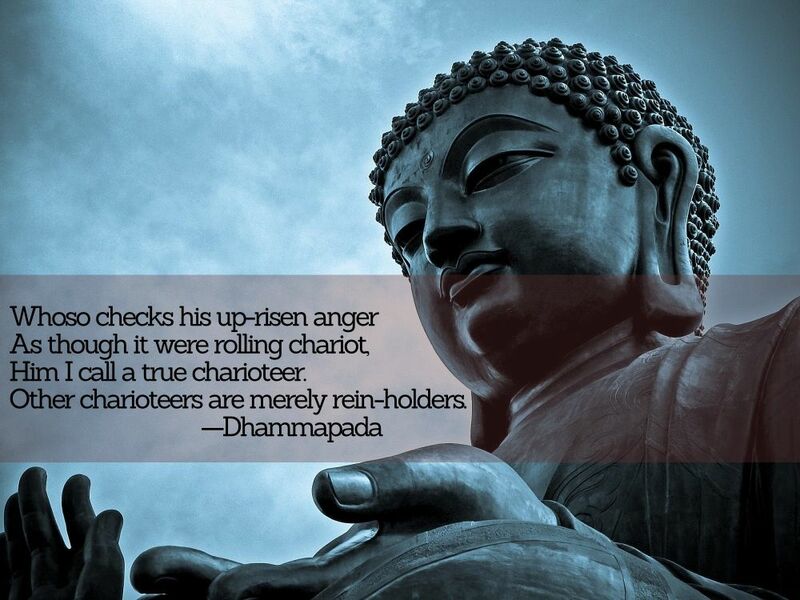 And anger is the hardest of the negative emotions to subdue. Investigating the nature of anger is important not only because it is such a destructive emotion, but also because anger often sums up many other self-judgments—sadness, powerlessness, fear, regret—that are entwined into it. We must remember that we create our own anger. No one makes it for us. If we move from a particular event directly to our reaction, we are skipping a crucial awareness, a higher perspective on our own reactivity. What is that middle step, that deeper awareness? It is mindfulness about our own beliefs, our attitude, our understanding or lack of understanding about what has really happened. We notice that a given situation reliably provokes our anger, and yet somebody else can be exposed to the very same situation and not react angrily. Why is that? No one can tell us: we each have to find the answer ourselves, and to do that, we need to give ourselves the space to reflect mindfully. We’re going to keep getting angry. It’s going to come up. It has come up in our lives before, and it will come up again. This practice is about becoming more mindful, becoming aware of how we are getting stuck. With care and work, we find ways to get unstuck. But we also know that the moment we get unstuck, we’re going to get stuck again. That’s why it is called practice—we never arrive. So when you find yourself upset or angry, use the moment as a part of your practice, as an opportunity to notice and uproot the seeds of anger and move into the heart of genuine compassion. you dwell in peace, freedom, and safety. harms himself and harms the other. Your practice and your victory benefit both of you. your mind will enjoy true peace, joy, and lightness. You become the doctor who heals himself and heals the other. you will think not getting angry to be the act of a fool. People often block out thoughts that provoke negative emotions as a way of reducing their stress and regulating their moods. However, intentional suppression of deep-seated emotions not only increases susceptibility to illness, but also amplifies the emotionality and associated psychological effects of the suppressed thoughts. Discussing, venting, clarifying, or expressing a trauma is a natural human response. When this necessity is inhibited, emotional stress and physical illness ensue. Facing up to deeply personal issues can promote physical health, well-being, and beneficial behaviors. The scientific research on the benefits of putting negative experiences into words is extensive. Studies have shown that expressive writing about oneself and one’s traumatic or stressful experiences does produce significant health benefits. 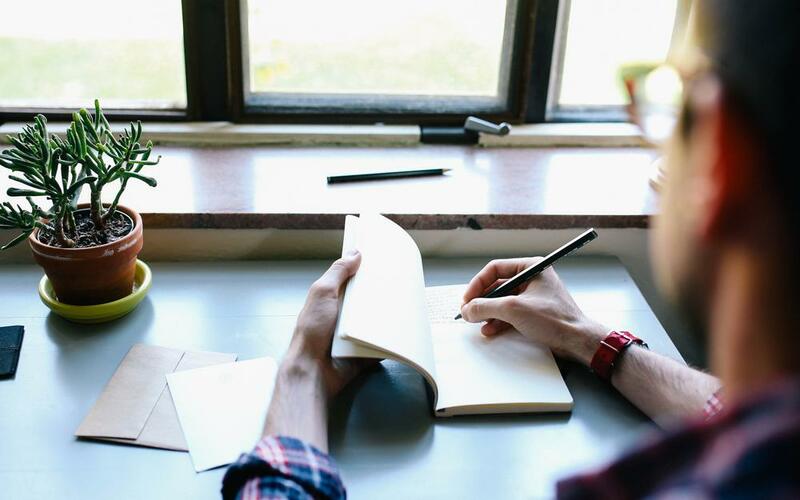 Expressive writing helps ameliorate mood disorders, reduces symptoms among patients with serious illness, improve a person’s physical condition after a heart attack, and even enhance memory. 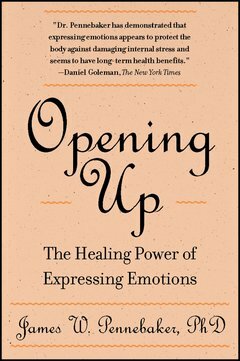 James Pennebaker, a psychology professor at the University of Texas at Austin, first investigated expressive writing as a healing process in the 1980s. Since then, research that spawned from Pennebaker’s pioneering studies, has revealed benefits could accrue to those who were dealing with divorces, lost love, death of loved ones, job rejections, terminal illness, even college students struggling with first-year transitions. Choose the part of the day when you are most contemplative (that’s the morning for most people.) Sit down at a place where you are not likely to be disturbed. Reflect about a very personal and important event. Consider a significant emotional upheaval that influences your life the most or has in the past. Your topic can be about a distress or failure, lost love, health-, school- or career-related anxiety, relationships, inner conflicts, death of a loved one, or just about any topic that you would like to express. If you’re writing about an experience or an event that involves another person, it can help to organize your writing as a letter to that person, whether alive or dead. Write your deepest thoughts about your chosen event or experience continuously for 20 minutes. If you run out of things to write or reach a mental block, just repeat or recap what you have previously written. In your writing, deeply explore your thoughts about the event and describe its effect on you. In other words, write both about what happened and how you feel about it. Think about how you can handle these events and their consequences now—what you can do specifically. Connect your personal experiences to other parts of your life. How do they relate to your childhood, your parents, people you love, who you are, or who you want to be? Write for yourself as your thoughts arise. Be as direct, intense, and serious as possible. Do not worry about grammar, spelling, comprehensiveness, legibility, or structure. 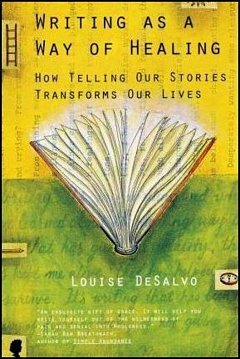 On the opening day of writing, your stories are not very structured, but over the three or four days, you will develop a more structured narrative. After writing for 20 minutes, do not look back over. Simply fold the papers you used, seal them, and put them away (read more about the “worry box technique.”) Unlike psychotherapy, the expressive writing technique does not employ feedback to the participant. Make a mental note of how you feel. 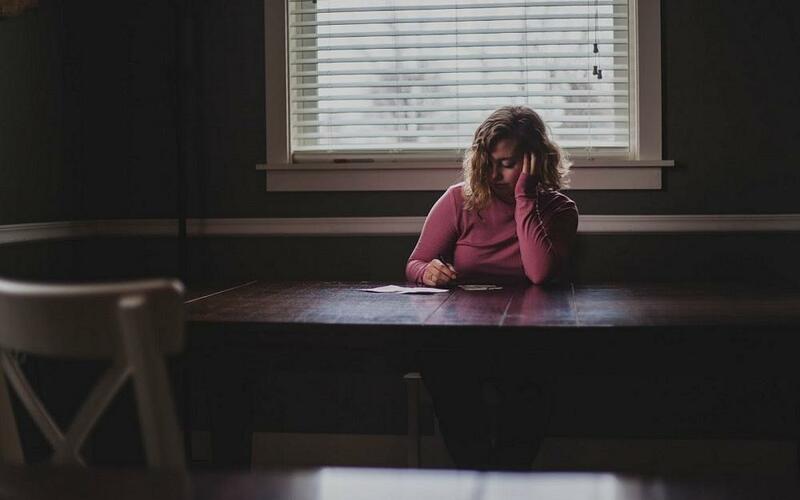 It is not unusual to feel sad or disheartened after writing—these feelings usually fade away in an hour or so. In research experiments, many participants have reported crying or getting upset by the experience of writing about emotional upheavals, but most participants testify that the writing experience was meaningful in helping them organize their experiences. Repeat this exercise for four consecutive days. You can write about the same experience on all four days or about different experiences each day. If you choose to write about the same topic on all the four days, try to wrap everything up by the fourth day. At the Johnson & Johnson Human Performance Institute, life coaches ask clients to identify their goals, then to write about why they haven’t achieved those goals. Once the clients have written their old stories, they are asked to reflect on them and edit the narratives to come up with a new, more honest assessment. While the institute doesn’t have long-term data, the intervention has produced strong anecdotal results. Expressive writing is a method of self-help that supplements the value of therapeutic talking to someone accepting and non-judgmental. By exploring your deepest thoughts and feelings with a reflective, inquiring, honest attitude, you can shift perspective. Standing back and reflecting on your suffering from different points of view can bring about an improved emotional state. You can create your greatest opportunities for change by confronting the realities, reframing your experiences in terms of your values and priorities, and identifying impediments that stand in the way of purpose, joy, and contentment. Stressed, Lonely, or Depressed? Could a Pet Help? The desire to protect and enhance one’s self-image is among the strongest motives of human behavior. No wonder scientific literature is laden with discussions on the ways in which people invoke self-deception in the interest of maintaining a favorable sense of their selves. People have a propensity to avoid conscious awareness of fear-triggering worries, conflicts, and uncertainties. They engage in thought patterns that distort the external realities as a way of coping with distress. Psychologists use the term “ego defense mechanisms” to describe the pattern of thought and behavior that arises in response to the perception of psychical danger. Denial: explicitly refusing to acknowledge the threatening reality even when presented with indisputable data (e.g. someone with a terminal illness rejecting the imminence of his death.) Denial may give the respondent some time to evaluate the meaning and seriousness of the threatening reality before reacting to it. Displacement / Transference: redirecting emotions from their original object to a substitute object that is somehow associated with the original one. Compensation: making amends for a perceived deficiency that cannot be eliminated (e.g., a physical defect) by excelling in some other way. Projection: incorrectly attributing to others any objectionable thoughts or actions. According to Sigmund Freud, projection makes a person perceive his objectionable character traits in others as a means of avoiding seeing those very faults in himself. For example, a man who cannot accept his own anger may cope with his feelings by accusing others as angry. Idea for Impact: It pays to familiarize yourself with these twelve defense mechanisms and be able to identify them in how you (and others) react to emotionally charged situations, especially in close relationships. Defense mechanisms are natural forms of self-protection. However, used excessively, they can turn out to be pathological. 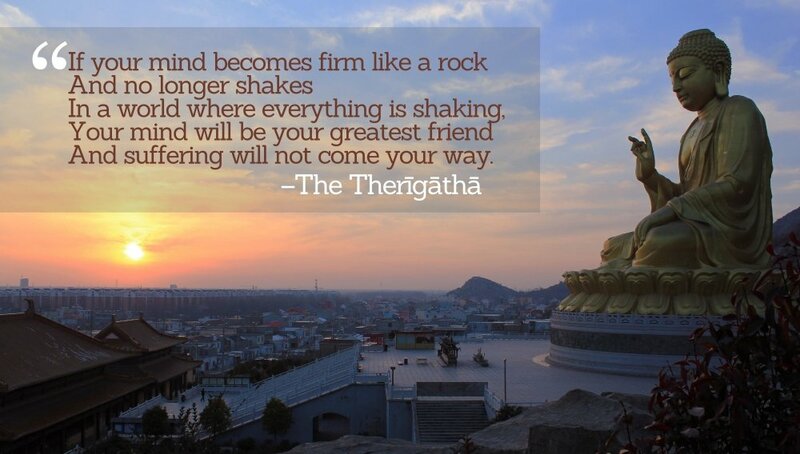 Firstly, the Buddha refers to the individual who is like an inscription on a rock. His anger stays with him for a long time; it does not war away by wind or water. Secondly, the Buddha relates an individual who is habitually angered, but whose anger does not stay with him for a elongated time, to an inscription in soil that rubs away by wind or water. Finally, the Buddha identifies an individual who is like water. When he is spoken to or treated rudely, he stays impervious, pleasant, and courteous—in the vein of an inscription in water that disappears right away. Monks, there are these three types of individuals to be found existing in the world. Which three? An individual like an inscription in rock, an individual like an inscription in soil, and an individual like an inscription in water. And how is an individual like an inscription in rock? There is the case where a certain individual is often angered, and his anger stays with him a long time. Just as an inscription in rock is not quickly effaced by wind or water and lasts a long time, in the same way a certain individual is often angered, and his anger stays with him a long time. This is called an individual like an inscription in rock. And how is an individual like an inscription in soil? There is the case where a certain individual is often angered, but his anger doesn’t stay with him a long time. Just as an inscription in soil is quickly effaced by wind or water and doesn’t last a long time, in the same way a certain individual is often angered, but his anger doesn’t stay with him a long time. This is called an individual like an inscription in soil. And how is an individual like an inscription in water? There is the case where a certain individual—when spoken to roughly, spoken to harshly, spoken to in an unpleasing way—is nevertheless congenial, companionable, & courteous. Just as an inscription in water immediately disappears and doesn’t last a long time, in the same way a certain individual—when spoken to roughly, spoken to harshly, spoken to in an unpleasing way—is nevertheless congenial, companionable, & courteous. This is called an individual like an inscription in water. These are the three types of individuals to be found existing in the world. I call a master charioteer. Anger destroys careers. It destroys relationships. As long as you lack the capacity to withstand negative emotions such as anger, you will be at a marked disadvantage in life. I follow the idea that when one has no control over a situation, one should not have their desired outcome be their expectations or it will lead to disappointment. Ex: I want my favorite sports team to win, but I am not a player who can change the outcome. But where does this leave someone with a grand vision or a 10-year plan? We all start out having to learn, having to grow, not having the answers, having to “figure it out”. Do you tell a young doctor “you can’t cure cancer”? How do you bridge from this idea of expectations to one that explains how one can navigate through life and achieve great accomplishments, like finding a cure for cancer? Life is enjoyable, joyful, fascinating, and purposeful because of the attachments we form. Nevertheless, Buddhism teaches us, the loss of these very attachments is the root cause of the worst pains in life. Even the realization of the prospective loss of a cherished attachment—a person, pet, feeling, hope, ambition, or an inanimate object—can make us suffer. One day, after the Buddha and a group of monks finished eating lunch mindfully together, a farmer, very agitated, came by and asked, “Monks, have you seen my cows? I don’t think I can survive so much misfortune.” The Buddha asked him, “What happened” and the man said, “Monks, this morning all twelve of my cows ran away. And this year my whole crop of sesame plants was eaten by insects!” The Buddha said, “Sir, we have not seen your cows. 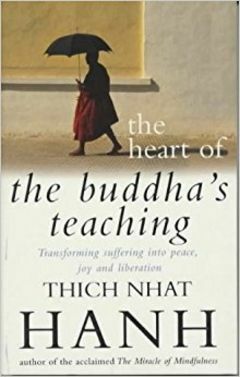 Perhaps they have gone in the other direction.” After the farmer went off in that direction, the Buddha turned to his Sangha and said, “Dear friends, do you know you are the happiest people on Earth? You have no cows or sesame plants to lose.” We always try to accumulate more and more, and we think these ‘cows’ are essential for our existence. In fact, they may be the obstacles that prevent us from being happy. Release your cows and become a free person. 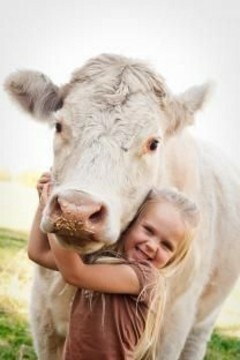 Release your cows so you can be truly happy. Though somewhat pedestrian, there is a profound wisdom in developing a sense of nonattachment (Sanskrit: upādāna.) Take for example our personal relationships. They are always a challenge because we keep wanting others—family, friends, and colleagues, even pets—to be who we want them to be for us. But if we can learn to accept them for who they are and let go of our conceptions of their perfection for us, our relationships become more straightforward and richer. Often, the Buddhist concept of nonattachment is misunderstood as “non-loving” and relinquishment. The “absence of craving” (alobha) is the opposite of “craving” or “greed” (lobha). 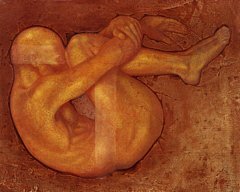 Nonattachment is not to abandon our loved ones, but to dispose of tendencies of self-protective clinging that preclude us from treasuring our loved ones more unreservedly and unconditionally. 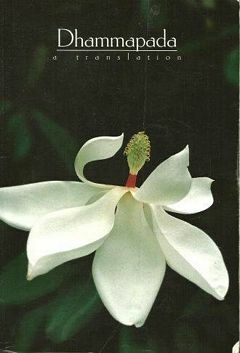 All conditioned phenomenon are subject to emerging and passing. The more we attach to things that will change and pass away, the more we will suffer. The more expectations we have—for material success, for comfort, for exclusively happy relationships—the greater our inevitable disappointments. Learn to let go of your metaphorical cows—those things you’re attached to. Only when you can get out of your own way, you can allow the world and its riches to work their magic. Embrace that prosperity. Remember, nonattachment is neither indifference nor self-denial. Accepting the nature of our clinging and attachments in their true and transient nature eases our fears, opens our hearts, and benefits others and ourselves. Letting go of attachments is the secret to really enjoying life and loving others. It is freedom. 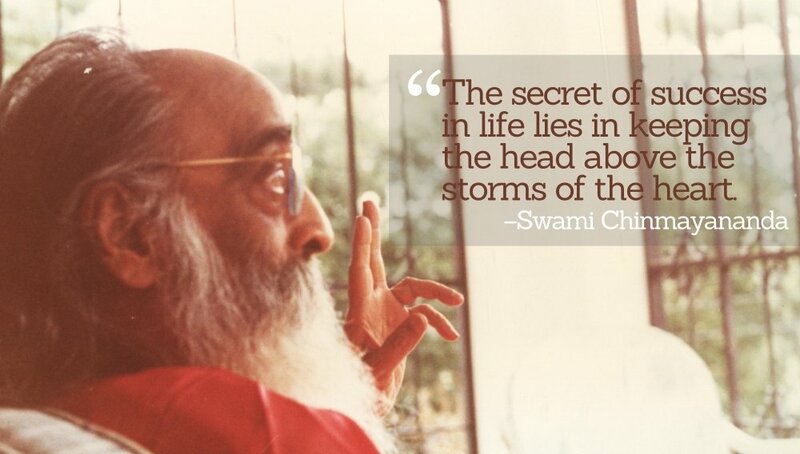 It is nirvāṇa. Understanding the deep-rooted basis of our negative emotions and their destructive consequences can help us navigate the turmoil that sorrow, love, anger, greed, envy, pride, and fear can invoke in our lives. 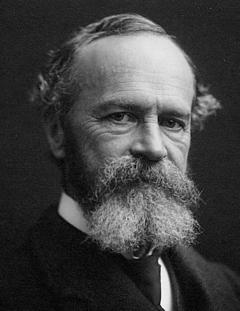 The pioneering American psychologist William James argued in his famous 1884 essay “What is an Emotion?” that emotions and their effects on our attitudes and our behaviors is bidirectional. That is to say, “bodily disturbances” are manifestations of our emotions and those reverberations are really the fount of the emotions themselves. 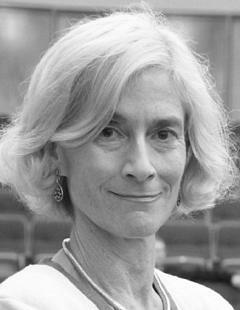 I’ve been reading American philosopher Martha Nussbaum‘s outstanding—albeit demanding—book Upheavals of Thought: The Intelligence of Emotions. The initial chapters contemplate the power of emotions and the manifestation of emotions in all aspects of our thought stream. 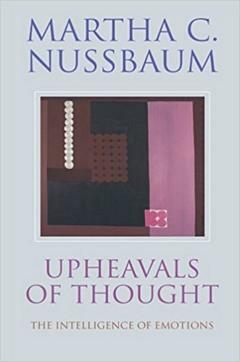 One of the central positions of Nussbaum’s book is that our sentiments and emotions spring from internal narratives—the stories we ponder within ourselves about who we are and how we feel. Emotions are acknowledgments of our indigence and lack of self-reliance. 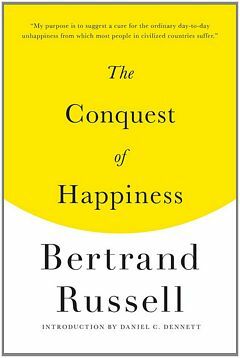 Emotions … involve judgments about important things, judgments in which, appraising an external object as salient for our own well-being, we acknowledge our own neediness and incompleteness before parts of the world that we do not fully control. Emotions should be understood as “geological upheavals of thought”: as judgments in which people acknowledge the great importance, for their own flourishing, of things that they do not fully control—and acknowledge thereby their neediness before the world and its events. Human beings … are the only emotional beings who wish not to be emotional, who wish to withhold these acknowledgments of neediness and to design for themselves a life in which these acknowledgments have no place. This means that they frequently learn to reject their own vulnerability and to suppress awareness of the attachments that entail it. We might also say … that they are the only animals for whom neediness is a source of shame, and who take pride in themselves to the extent to which they have allegedly gotten clear of vulnerability. The emotions of the adult life sometimes feel as if they flood up out of nowhere, in ways that don’t match our present view of our objects or their value. This will be especially true of the person who maintains some kind of false self-defense, and who is in consequence out of touch with the emotions of neediness and dependence, or of anger and aggression, that characterize the true self. Idea for Impact: People who lack the capacity to withstand psychological distresses such as anger, fear, frustration, and sadness are at a marked disadvantage in life. Learn to manage your negative emotions. Negative emotions not only take their toll on our mind, body, and spirit, but also hinder your liberation from suffering, according to the Buddhist way of life. People who lack the capacity to withstand psychological distresses such as anger, fear, frustration, and sadness are at a marked disadvantage in life. When faced with life’s unceasing challenges, they respond with greater emotional distress. Worse yet, rather than deal with the challenge at hand wisely, they engage in destructive behaviors, often with verbal and physical aggression toward themselves and others. People with lower tolerance for distress usually spin their wheels and find as many escapes—including substance abuse and binging—as their troubled minds can conjure up. Instead of allowing themselves a modest amount of grieving, rebounding quickly, and moving on with their lives, they feel victimized. They avoid people and situations that may provoke frustration, discomfort, embarrassment, and uncertainty. In due course, their mind, body, and spirit start to atrophy. I’ve seen people use emotion, positive or negative, as a tool, and it works for them. 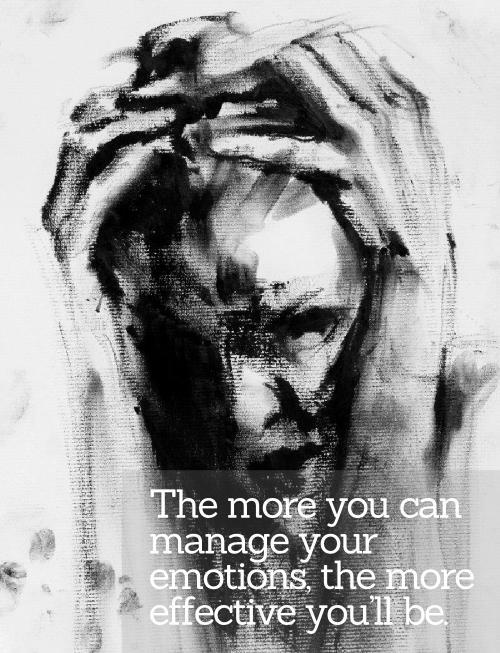 But typically, the more you can remove emotion, the more efficient you’ll be. You can be an inch from winning but still miles away if you allow emotion to interfere with the last step. So you have to accept the weather, heat, rain, stops and starts, the line calls, whatever your opponent is giving you, however tired or injured you are. There are so many things that can distract you from taking care of business. The only thing you can control is your engagement. When you learn to better understand, tolerate, and harness negative emotions, you become empowered. from where can there come suffering & stress? And suffering will not come your way. Idea for Impact: Negative emotions and the destructive behaviors they breed are essentially always wrong—they are psychological errors you’ll do well to eliminate in yourself. I recently happened upon A&E channel’s reality TV program Hoarders, now in its ninth season. Hoarders shows appalling footage of homes jammed floor-to-ceiling with bewildering amounts of mess. With help from therapists, professional organizers, and “extreme cleaning specialists,” hoarders featured on the show learn to pare down their stacks and cleanup their homes and offices. Hoarding ranges from mild to severe. Compulsive hoarding is the unwarranted and excessive accumulation of things as well as the unwillingness and the inability to dispose of them. Hoarders believe that their collections will be needed or will have value in the future. Beyond normal collecting behaviors and hobbies, hoarders amass vast quantities of possessions that fill up and disrupt functional areas of their homes and offices. They stack stuff everywhere—attics, basements, desks, countertops, garages, bathtubs, stairways, cupboards, and nearly all other surfaces they can no longer be used for their intended purposes. When there’s no more room indoors, hoarders expand their clutter into yards and vehicles, and even get storage rentals. They frequently shift items from one hoard to another, without shedding anything. 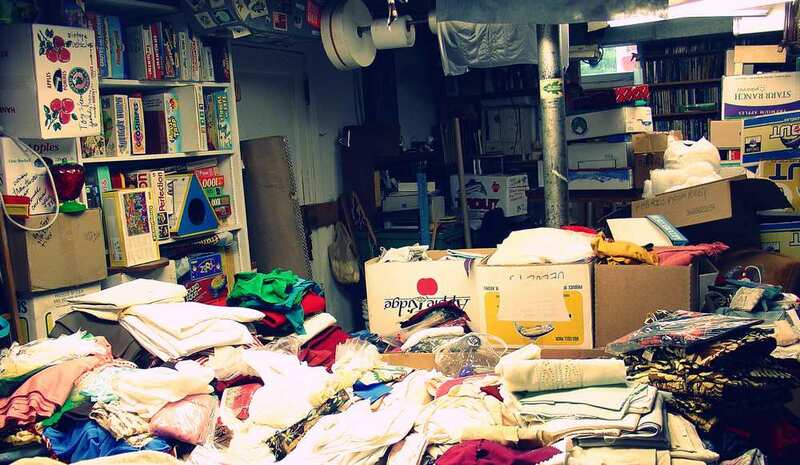 Hoarders often fail to recognize it as a problem, making treating their hoarding a challenge. Hoarding behavior typically has physical, emotional, social, financial, and legal hurtful consequences. Hoarders have trouble making decisions. They often suffer from chronic procrastination, and have considerable difficulties getting things done. Hoarding usually accompanies varying levels of anxiety. Hoarding both eases anxiety and produces it. Hoarders feel emotionally secure when surrounded by the things they collect. The more they hoard, the more shielded they feel from the outside world and the more they become isolated from their family and friends. But, sure enough, they feel ever more alarmed at the prospect of having to discard or clean out their hoarded stuff. If you’re a hoarder, take small steps to tidy up. If you feel overwhelmed by the sheer volume of your possessions and the decluttering task that lies ahead, remember to take small steps (try my “10-Minute Dash” technique to overcome procrastination and get a task going.) Under the supervision of a trusted companion, tackle one small area at a time. But, psychiatrists recommend, don’t let someone else (a friend, domestic help, or organizing professional) clean for you—long-lasting behavioral changes necessitate talking through the process as you make decisions. 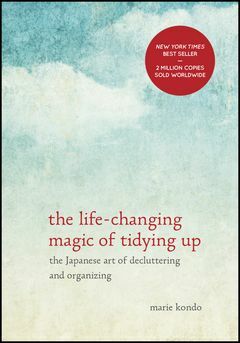 Japanese organizing consultant Marie Kondo’s bestselling self-help book, The Life-Changing Magic of Tidying Up, suggests that you should appraise (“touch”) each of your belongings one at a time to determine whether they “spark joy”—if they don’t, thank the belongings for their service and get rid of them. Sort items to one of a very few categories—“trash,” “donate,” “sell”, and “must keep.” If you haven’t used something in a year, toss it out assuming that you’re unlikely to find it useful in the near future. Idea for Impact: Reducing clutter and getting organized takes time, patience, and courage. If necessary, find a cognitive behavior therapist that specializes in treating hoarding disorders to delve into why you feel compelled to hoard and learn how to discard and organize your possessions. If you have a hoarder in your life, don’t be embarrassed, sad, or angry with the hoarding habits of a loved one. Don’t force the hoarder to change—your loved one may change for a short time, but unless there is a compelling reason for change, she will go back to her natural state. To be effective in the long run, resist the urge to clean up for her. If the underlying behavioral patterns aren’t remedied, the hoarder will likely replenish the clutter or even intensify the hoarding behavior to make up for the loss. Even if the hoarder doesn’t realize the chaos she’s imposing on her family, friends, pets, and neighbors, try to help her or get help for her. Nevertheless, understand that you can control only your efforts—not the results—despite doing your best. Idea for Impact: Avoid enabling your loved one’s hoarding behavior. Offer to help her if she needs it, but expect change to be a long and slow process. Temper your expectations—changing this problematic behavior is her journey and her battle to fight. If all else fails, seek help from a cognitive behavior therapist that specializes in helping families and friends of hoarders. I’ve previously written about how a great many of life’s anticipated misfortunes, adversities, trials and tribulations will never come to pass. Much of your worrying is ultimately fruitless and anger is often pointless. Today, I shall discuss a technique you can use to let go of anxiety. When you face anxiety, nervousness, fear, or worry, try the following technique: imagine all possible negative consequences of the situation you are confronting. Then, conceive of the worst outcome, even if there’s little chance events will turn out that way—imagine everything that could go wrong, in the worst possible way. Envision the worst outcomes. When you exaggerate your fears and imagine the worst thing that could happen, you make your impending fears look unreasonable. You will realize that even the worst possible scenario isn’t so terrible after all. Often, this deliberation—and your sense of humor—usually restores your perspective on the anxiety you’re facing. You’ll realize that, at the worst, nothing that could happen to you is ultimately that significant. A process … can be adopted with regard to anxieties. When some misfortune threatens, consider seriously and deliberately what is the very worst that could possibly happen. Having looked this possible misfortune in the face, give yourself sound reasons for thinking that after all it would be no such very terrible disaster. Such reasons always exist, since at the worst nothing that happens to oneself has any cosmic importance. When you have looked for some time steadily at the worst possibility and have said to yourself with real conviction, “Well, after all, that would not matter so very much,” you will find that your worry diminishes to a quite extraordinary extent. 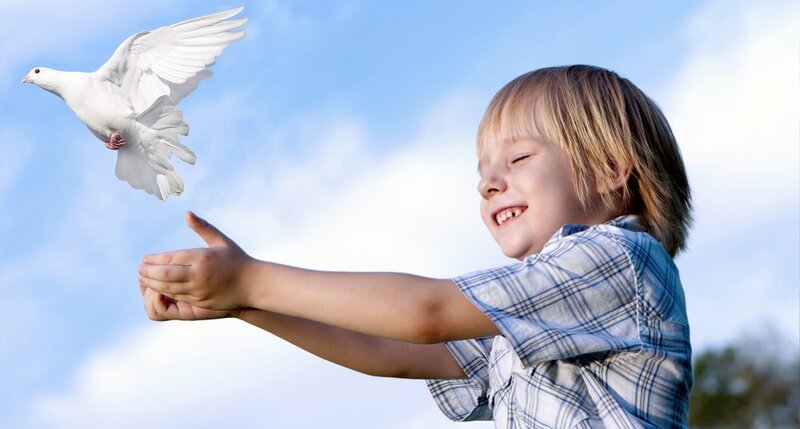 It may be necessary to repeat the process a few times, but in the end, if you have shirked nothing in facing the worse possible issue, you will find that your worry disappears altogether and is replaced by a kind of exhilaration. Worry is a form of fear, and all forms of fear produce fatigue. A man who has learned not to feel fear will find the fatigue of daily life enormously diminished. 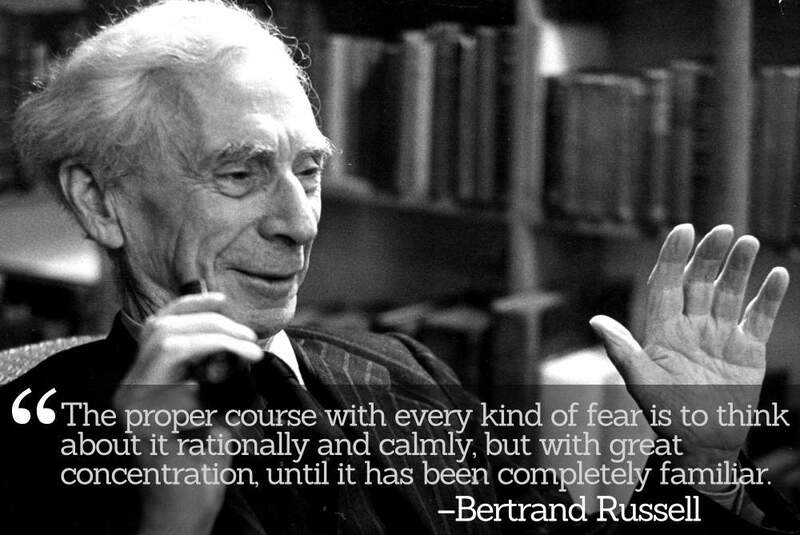 … The proper course with every kind of fear is to think about it rationally and calmly, but with great concentration, until it has been completely familiar. Idea for Impact: When confronting your fears, denial is never a wise strategy, positive action is! When faced with potential adversity or anticipated worry, try imagining the worst thing that could happen. This strategy for approaching your worries can help you to maintain an assertive, self-determining attitude even in the presence of very real and serious fears and threats. 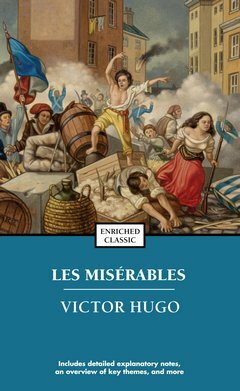 Victor Hugo's profound tale of Jean Valjean's redemption and the saga of the endless battle between good and evil is considered one of the greatest novels of the 19th century.